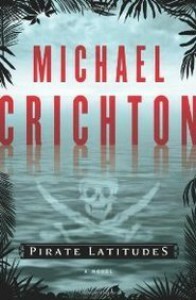 Normally, I’m a fan of Michael Crichton, but Pirate Latitudes is so un-Crichton-like that I had to look at the spine to make sure it really said Michael Crichton. It did. My puzzlement unabated, I turned to the back cover’s blurb in the hope of finding some sort of explanation, a life buoy, so to speak. And to my enormous relief, there it was: The manuscript was published posthumously after having been found in the author’s files. My conclusion was that he’d never intended it to see the light of day, and for good reason, I might add; hence, it was interred in the obscurity of his private papers. Unfortunately, money-grubbers being what they are—and with the author also being interred and unable to object—the manuscript was exhumed and thrown on the market. By all accounts it was a best seller; by no means can I figure out why. In trying to set a historical tone with his descriptions, Crichton instead catalogs the couture and culinary predilections of Port Royal in the 1600s to the point of eye-crossing monotony rather than weaving them naturally into his tale. Usually, the author has no trouble writing in different genres or voices, but let’s just say that piratical tales of the sea weren’t his forte. The plot is terribly cliché, revolving around a licentious pirate after treasure, promiscuous buxom wenches who can’t wait to fall into his bed, and a sadistic unbeatable foe who has killed a member of the hero’s family in an inventive and unforgettable way, thus scarring said hero and giving him an unquenchable thirst for revenge (mais oui!). Between bouts of spreading the pox, our hero manages to fight off cannibals and a kraken. (I might have mentioned that the plot’s pretty much a cliché.) I checked the spine again. 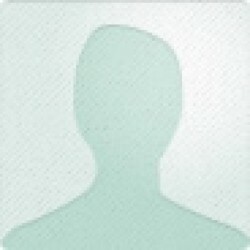 Yep, it still said Michael Crichton. I think this was the epic swashbuckler Crichton always wanted to write but was afraid to publish. Oh how I wish his publisher had felt the same way!